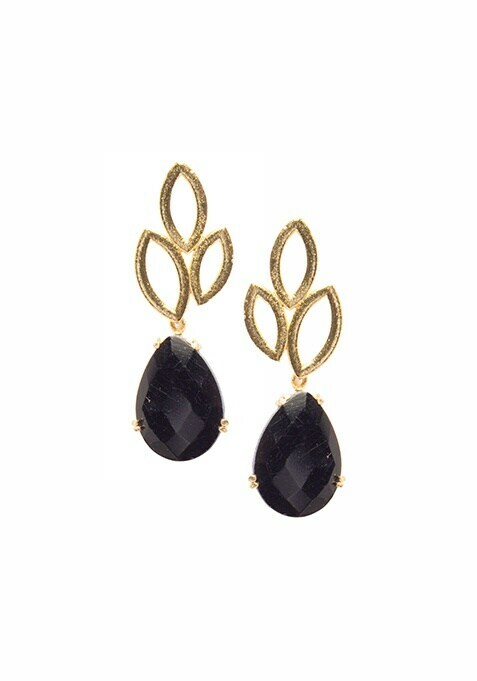 These subtly designed, dainty stone earrings are perfect for a day time event. Featuring leafy design and a black statement stone. Work It: Style these earrings with a simple tunic or kurta.